Friends! I know it’s been awhile. I’ve missed you. Well, happy Friday, for starters! I wanted to send you into the weekend with this fun little recipe. It’s the perfect summery side dish or snack. Second best part? It’s easy! Now, who doesn’t love that combination? 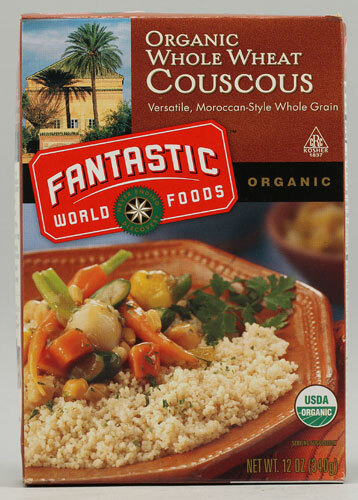 Pour couscous into a medium-sized bowl. In a small pot, combine water, orange juice, and vinegar. Bring the mixture to a boil and add the dried fruit. Let simmer for about 1 minute. Give it a quick stir and then pour the liquid mixture over the dry couscous. Stir to eliminate any dry pockets. Add the carrots on top and then cover with a plate or towel to keep in the heat. The couscous will cook in 15 to 20 minutes. When the couscous is cooked, stir in the carrots and add in the pine nuts and cucumber. You may opt to drizzle olive oil on top. Best served cold or at room temp. While couscous works best in this recipe, if it’s not for you, you can choose a different grain…or non-grain. Buckwheat is a heartier choice and arguably even healthier. Why? Well, it’s gluten-free because it’s not actually wheat, despite its misleading name. It’s a seed related to rhubarb and it’s a great source of protein, fiber, complete essential amino acids, zinc, magnesium, and B vitamins. Plus, it’s whole grain and very versatile, great in a sweet or savory dish. 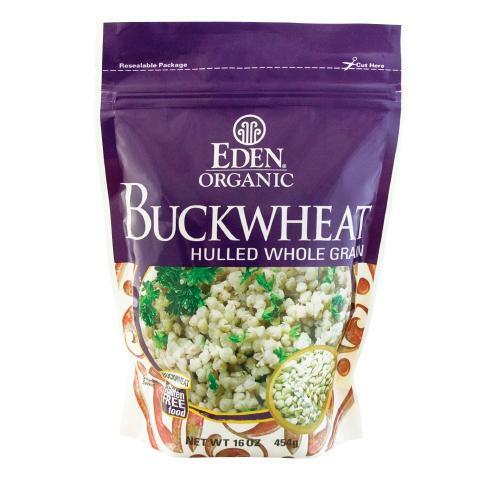 I recommend Eden Organics Buckwheat. You should cook the buckwheat first (takes 30 minutes) or make it in advance. Then add the ingredients to it as you would uncooked couscous and the results should be similar. BUT, you should reduce the liquid substantially, since the buckwheat is already cooked. I’d say probably 1 tbsp of water, 1/4 cup of orange juice and 1/4 tsp of vinegar to 1 full cup of cooked buckwheat. You don’t want it liquidy. Let it chill in the fridge for a bit and add more buckwheat if it’s still too wet. If you like couscous, though, the recipe works better with it. Also, I’m not the biggest lover of raisins, so sometimes I make this with just apricots, which I do love. Works great and I don’t feel the need to up the amount either. Plenty of sweetness here. I’ve also been known to throw in some fresh herbs, too. Parsley and basil from my garden add a different flavor that I like sometimes. Herbs are super healthy, so that’s always a bonus. Just depends on my taste buds on any given day. Get creative! And as always, all ingredients are organic. You know me. That’s how I do!